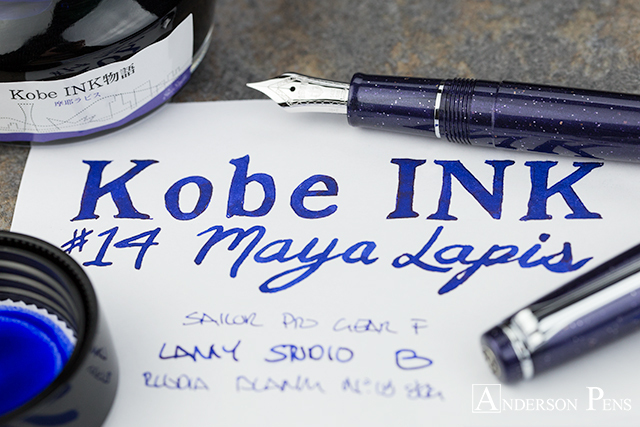 Climb to the peak of inky goodness with Kobe Maya Lapis Purple. Named after Mt. Maya, this rich blue/violet is a real show stopper. 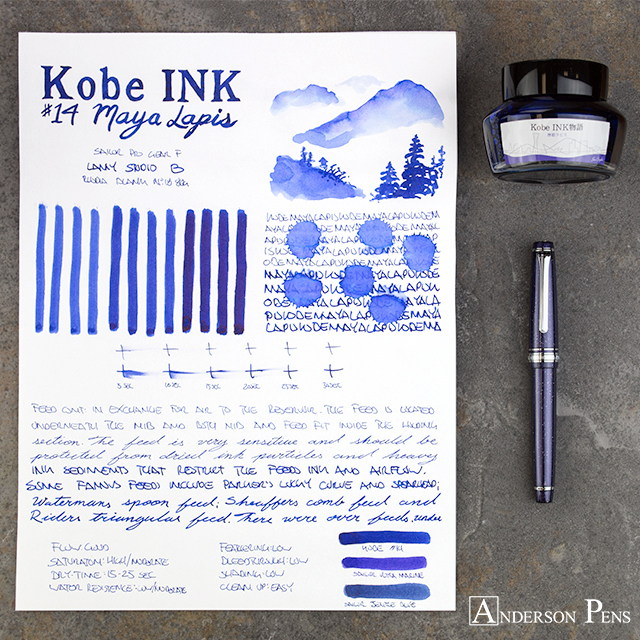 Kobe inks are produced by Sailor and offer an extensive assortment of colors that are conveniently referred to by number. 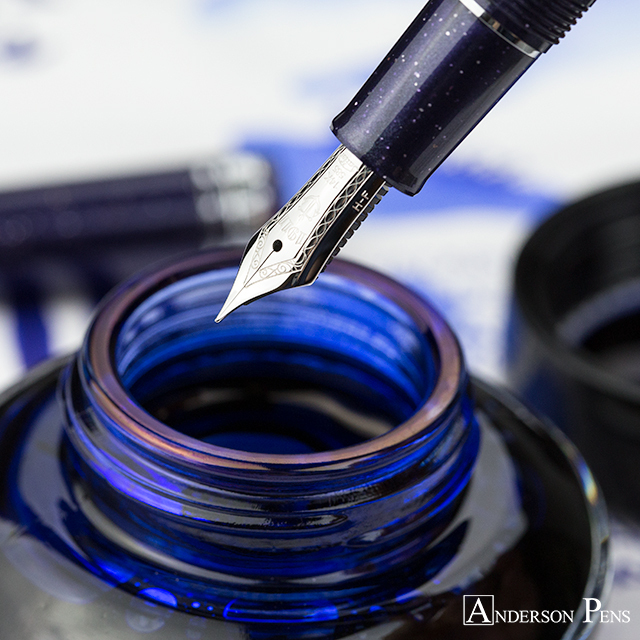 The ink comes in the same 50ml glass bottle as Sailor ink, but without the plastic filling reservoir. This review was done with a Sailor Pro Gear F, Lamy Studio B and on Rhodia blank No. 18 paper. Maya Lapis Purple doesn’t really look purple, but it definitely looks lapis! *chuckles to self* The ink is a deep indigo color that has the slightest hint of violet. 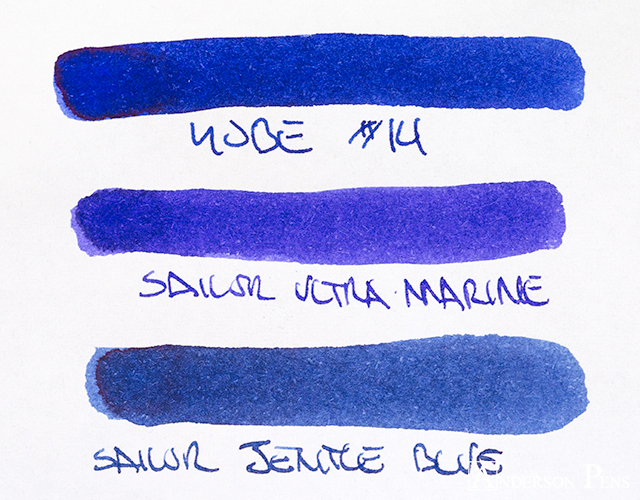 The ink doesn’t shade much in a fine nib so it produces a uniform navy appearance. 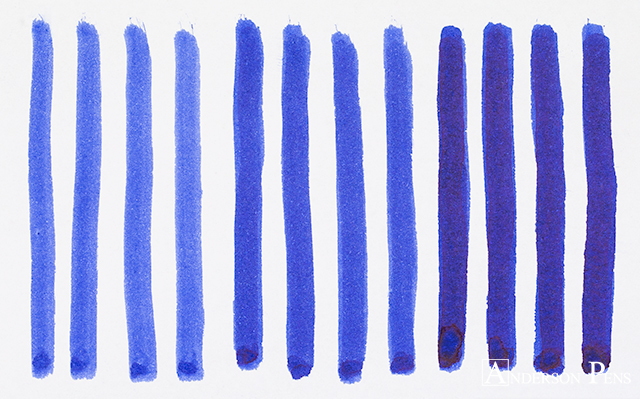 With a broad nib, there is more shading, which brings in lapis and cobalt tones. The ink has a nice red sheen that shows up with a broad nib on Rhodia paper. 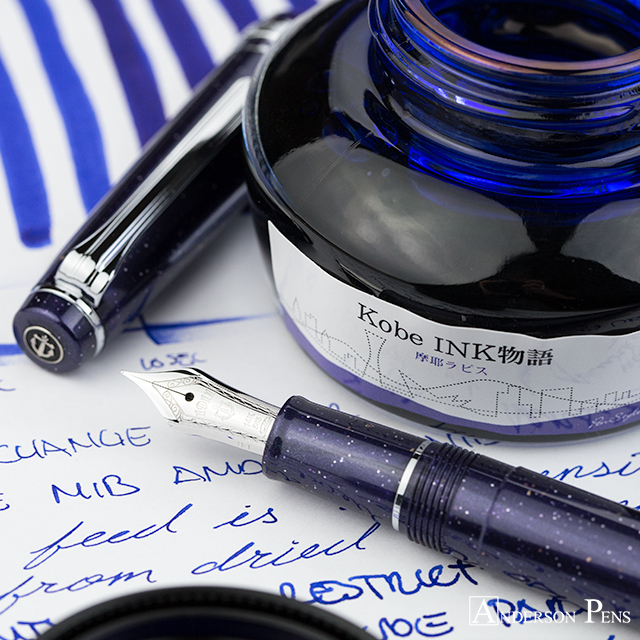 Kobe inks enjoy all the same wonderful properties as the regular Sailor lineup. 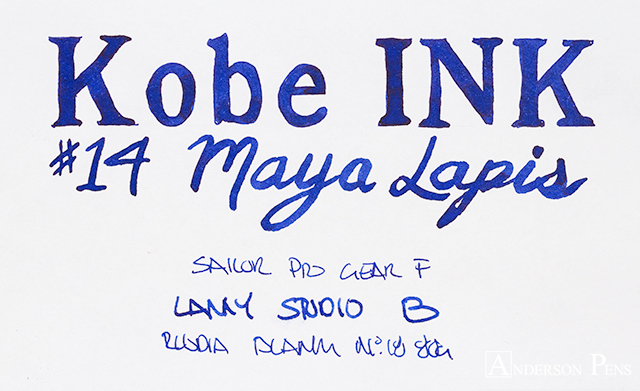 Maya Lapis has good flow with no feathering or bleedthrough on Rhodia paper. 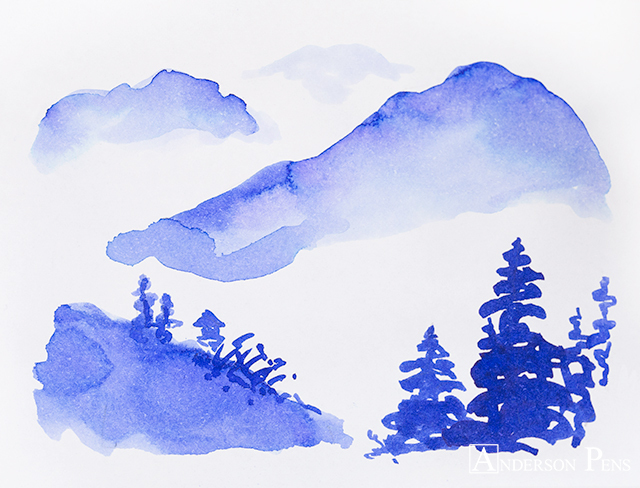 The ink is highly saturated but still has good dry times at 15-25 seconds. 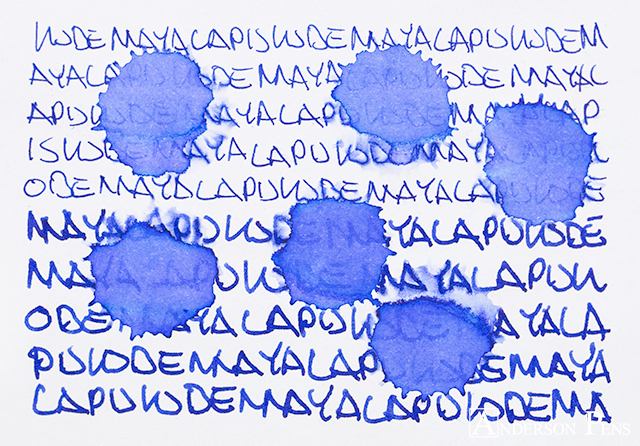 Although Maya Lapis didn’t have much water resistance, it was still possible to make out the writing even after the water test. I think this would be a great everyday ink. The color has enough personality to really set your writing apart. The excellent flow and red sheen are little joys you can appreciate whenever you’re writing. This entry was posted in Ink, Ink Reviews, thINKthursday and tagged ink, ink review, Kobe, Sailor, thINKthursday. Bookmark the permalink.